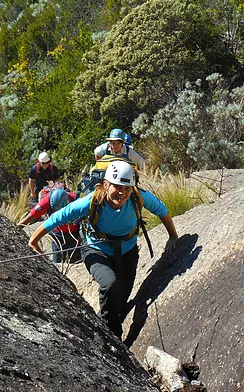 Table Mountain has many beautiful footpaths and exciting scrambling routes to explore; and with one of our highly qualified mountain guides you can be assured of an excellent and safe adventure. We have been guiding on Table Mountain for more years than anyone else, ensuring you of the best possible experience on TM. 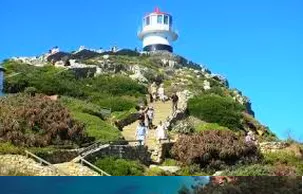 We offer half-day and full-day programs on Table Mountain and the surrounding peaks like Lion’s Head and Devils Peak or further along the Peninsula Mountains from Silvermine to Cape Point. We offer various options on Table Mountain. Our popular half-day hikes normally make use of the well-known Cableway to descend the mountain after hiking to the top. Full-day hikes allow for seeing more of the mountain and often involve hiking both up and down, avoiding the cable car. Scrambling refers to very easy rock climbing and/or boulder hopping needed to negotiate an obstacle. 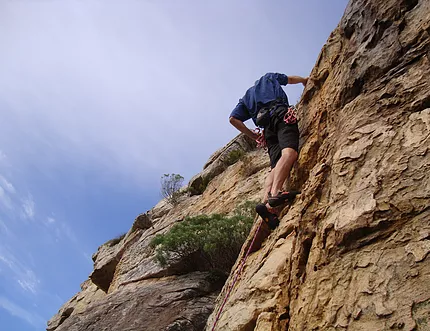 On scrambling routes you can expect to have to use your hands to hold onto the rock and you may have to cross more difficult and exposed terrain. Our guides will always assist you on these parts of the route and may even rope you up for some of the climbing to ensure your safety. Following a scrambling route is an exciting and fun way of getting up the mountain and seeing the lesser known parts, away from the main tourist routes. Who can join a hike? Any reasonably healthy and fit person is welcome. You do not have to be a marathon runner or even a regular hiker! 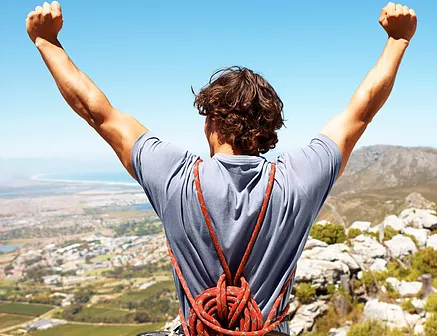 There are so many options available for hiking on Table Mountain that we able to cater for all age groups and all levels of fitness and experience. 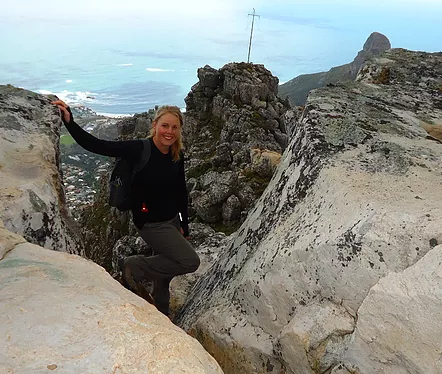 at least 2 litres of water and some snacks or lunch on the full-day options..
Also known as the Hoerikwaggo Trail, a number of options are available for overnight hiking on the Table Mountain chain. 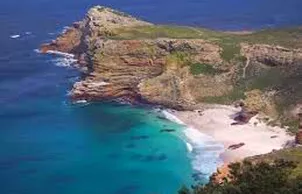 We custom make itineraries ranging from 2 days to 5 days leading you across the Peninsula Mountains all the way from Cape Town to Cape Point. Various service levels available to suit your needs.